Haier XShuai is a brand owned by Haier group, which focuses on the innovation of high-end intelligent terminals and smart home solutions. The company is committed to let everyone enjoy high-quality intelligent devices at affordable prices. XShuai, presented by Haier Robot, worked for 2 years with 300 hardware development engineers and 50 software development engineers to design and produce high-performance service robots that will transform the vision of the vacuum bots field into a leading one. From the user’s point of view, the core value of our robots is the ability to perform daily tasks effectively and efficiently. 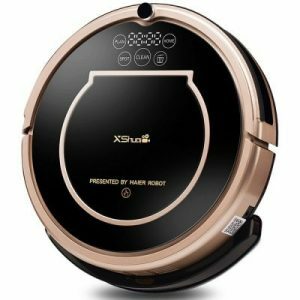 Whether sweeping, mopping, or other cleaning tasks, XShuai C3 offers the best performance solutions for the market. We are investing in the development of robotic interfaces to enable users to interact with our series of products in richer and more convenient ways.